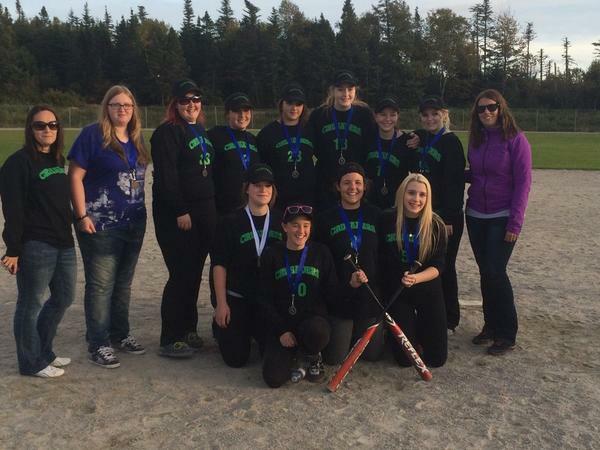 Congratulations to our Senior Girls Softball Team on a hard fought silver medal at Regionals this past Friday. Our girls lost a close first game to Bishop White 7 – 4 but won the second game 7 – 5! Unfortunately this regional went with a combined total score from both games and that meant our girls lost by a single run (12 – 11); a very close ending but our girls played hard and represented us well! A big congratulations to Caitlin Hoskins for winning the sportsmanship award! A Really big thank you to coach Kristina Hansford and Assistant Coaches and teacher sponsors Fallon Parrott and Katie Hansford. Your time and dedication are greatly appreciated!!! This entry was posted in School Life Archive and tagged athletics, School Life on September 28, 2014 by riawebsite.